Eric gets hit on by his tutor who instead of helping him study just wants him to cheat. Cheating is not okay when your teacher is George Feeny and well have a coincidence. Meanwhile, Blake enjoys the subplot with Uncle Mike more than anything going on in the main plot. 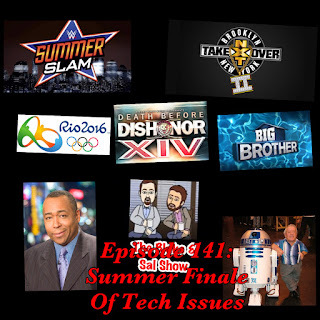 The guys close out the summer with a panel discussing NXT Takeover: Brooklyn II and WWE Summerslam. 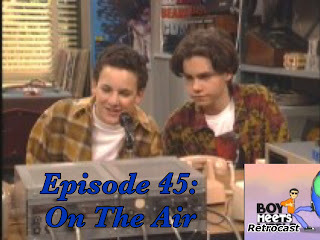 Afterward Sal vents about the fall Big Brother season, Blake fangirls over Newsies, there is discussion about Lin Manuel-Miranda, CW fall programmings and a quick check in on The Olympics. 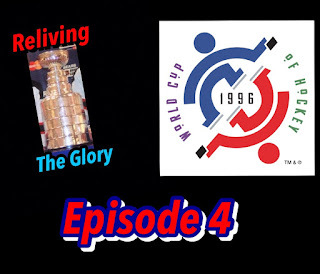 The guys take a break from the NHL and go international for one of the best periods of hockey in USA history as Team Canada and Team USA battle for the first ever World Cup of Hockey. Blake and Mark went to State Fair on Thursday August 4, 2016 to see a Brew City Wrestling show and are here to talk about it in detail. They have audio recorded from the show with comments on how big of a crowd was there, discussions with Tatanka, Bushwacker Luke, The Rock & Roll Express and Awesome Kong and then BCW promoter Frankie DeFalco joined them for an interview. 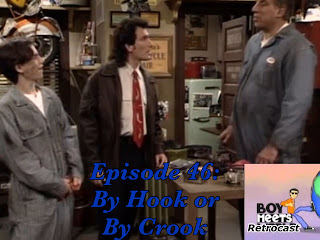 Even if you aren't a wrestling fan, check out this episode! Scotty reports on his experience at Michigan Stadium for the International Champions Cup match-up between Real Mandrid and Chelsea.